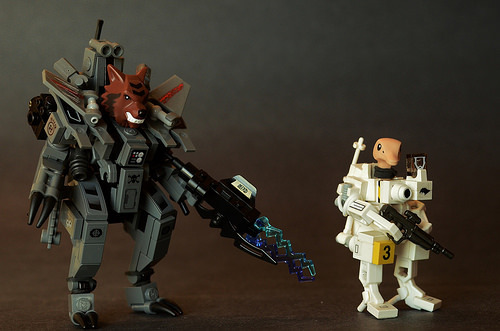 This pair of hard-bitten space warriors are sporting hard-suits common to their species. √erde’ has this long backstory about how the wolves are all mean and everything. Don’t you believe it. That bird looks like it deserves everything it gets.